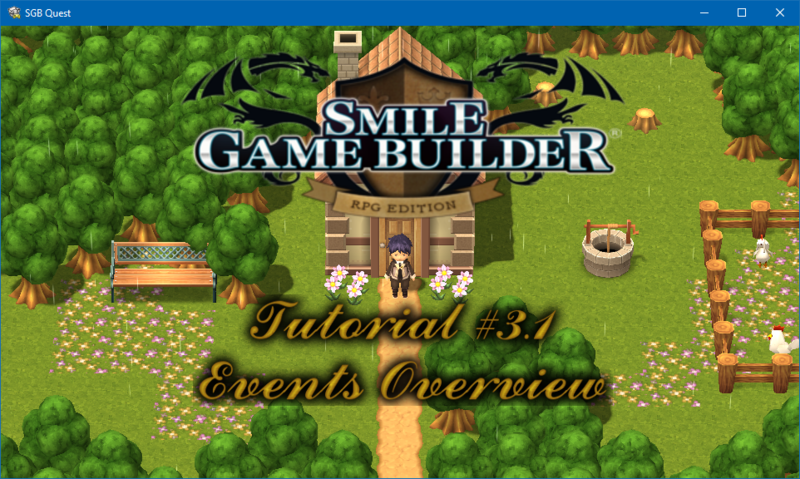 This tutorial, the third in the Smile Game Builder series, glosses over the preset events, going through each one in turn. This isn’t a comprehensive how-to; it’s simply to showcase what’s available. Note: This video is longer than I intended it to be! I’d like to keep videos around 20 minutes long, but sometimes they’ll go over. And that’s when the fun will really begin! The next few tutorials will cover some of these events in more detail, including the events tree, and – finally! – customizing events. I’ve had a lot of requests on how to do certain things in SGB, so my aim is to address these as soon as possible. I may include these in planned videos or create separate how-to videos for them. At the moment, I can only upload videos once per week (specifically Sundays), but aim to increase that amount soon. Not just for SGB (my current focus), but for RPG Maker as well.